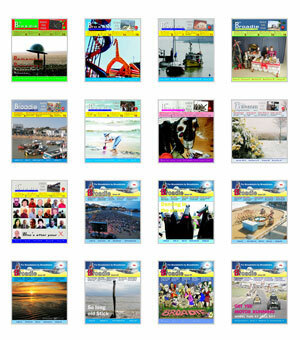 Yes, we're first and foremost an actual proper printed magazine, this here website is for all those technological whizz kid types that just don't like print and paper. 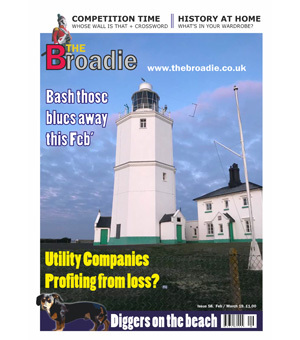 The Broadie is delivered free to about 4500 homes in the CT10 postcode area, on average we produce our full colour shiny magazine on a bi-monthly basis - sometimes more - sometimes less (It depends if anything has happened). We like to have the occasional pop at our beloved council (God bless 'em) or for that matter anyone else who deserves it. There's often a bit of a rant, maybe a bit of fun, the odd cartoon, a what's on guide, letters, articles supplied by the general public (that's you lot) and plenty of stuff about our lovely little town by the sea. 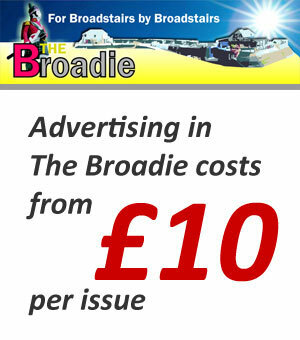 Please feel free to contact us on 01843 869368 or via email on thebroadie@googlemail.com.